The franchise is named after the Great Chicago Fire of 1871, and was founded on October 8, 1997, the event's 126th anniversary. The team began play in 1998 as one of the league's first expansion teams. The Fire won the MLS Cup as well as the U.S. Open Cup (the "double") on their first season. They also won U.S. Open Cups in 2000, 2003, and 2006, in addition to the 2003 MLS Supporters' Shield. In 2015, the club won the first ever MLS Wooden Spoon, and repeated the feat in 2016. The Fire maintains an extensive development system, consisting of the Chicago Fire Development Academy and the Chicago Fire Juniors youth organization. They also operate the Chicago Fire Foundation, the team's community-based charitable division. SeatGeek Stadium is the Fire's home stadium. Founded on October 8, 1997, the Fire were originally based at Soldier Field. Since 2006, the club plays at their own stadium, Toyota Park at 71st and Harlem Avenue in Bridgeview. The owners of the Fire are Andell Holdings, who purchased the club in 2007. Andell Holdings chairman Andrew Hauptman acts as club chairman, while the general manager is Nelson Rodriguez and the chief operating officer is Atul Khosla. The Fire are historically most successful in the U.S. Open Cup; winning championships in 1998, 2000, 2003, and 2006. The Fire keep a close connection with the Chicago Sting, its predecessor team in the NASL, by holding frequent commemorative events and reunions, and wearing Sting-inspired shirts. Many notable players have worn the Fire shirt, including U.S. internationals Chris Armas, Carlos Bocanegra, Frank Klopas, DaMarcus Beasley, Brian McBride, Tony Sanneh, Cory Gibbs, Ante Razov, Josh Wolff and Eric Wynalda. Some of the club's other notable American professional players include C.J. Brown, Jesse Marsch, Chris Rolfe, and Zach Thornton. The Fire also have a reputation for importing international talent, from established veterans like Bastian Schweinsteiger, Pável Pardo, Piotr Nowak, Cuauhtémoc Blanco, Tomasz Frankowski, Lubos Kubik and Hristo Stoichkov; in addition to younger players such as Patrick Nyarko, Marco Pappa, Damani Ralph, Bakary Soumaré and Nery Castillo. The Chicago Fire are named after the Great Chicago Fire of 1871. Founded in 1997 at Navy Pier, on the anniversary of the Great Fire, the Fire immediately tapped into the diverse ethnic makeup of the city. The team brought in Polish players Piotr Nowak, Jerzy Podbrozny, and Roman Kosecki; the Mexican Jorge Campos; and the Czech Lubos Kubik. While all showed their talent while playing for Chicago that first year, American players (Zach Thornton, Chris Armas, C.J. Brown) proved most integral to the Fire's continued success. Under the club's first head coach, Bob Bradley—and against all expectation—the team completed the double in its first competitive year, beating D.C. United in the 1998 MLS Cup Final, and defeating the Columbus Crew in Chicago to win the 1998 U.S. Open Cup a week later. The team's momentum continued, reaching the 2000 MLS Cup final (losing to Kansas City) and winning the 2000 U.S. Open Cup. Internationally experienced players such as Hristo Stoitchkov joined the Fire, while young American talents such as DaMarcus Beasley developed. The Fire quickly became cemented as one of the league's preeminent teams. With Soldier Field undergoing massive renovations, the Fire moved to the western Chicago suburb of Naperville in 2002. That same year, Bob Bradley abruptly departed the team to lead the MetroStars, from his home state of New Jersey. The Fire then selected the U.S. men's national team's top assistant, Dave Sarachan, to assume the vacant post. Chicago qualified for the league final while also capturing the Supporters' Shield and 2003 U.S. Open Cup along the way. The team returned to Chicago and the renovated Soldier Field midway through the 2003 season. After that season, longtime captain Piotr Nowak retired to take a position in the front office. He departed a year later to become manager of D.C. United. In this period new talent emerged, including Jamaican striker Damani Ralph. Still, stagnating performances and the building strength of the Eastern Conference made Chicago's league position ever more tenuous. 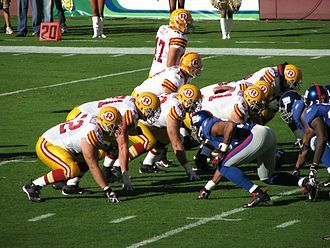 In 2004, the team missed the league playoffs for the first time in their history. The 2005 season began with the unexpected dismissal of popular club president Peter Wilt by then-owners AEG, a move decried by fans, many players, and club staff. This came as a shock, given his brokering of a $100m deal to build the Fire a stadium in the collar suburb of Bridgeview. He was immediately replaced by MetroStars executive John Guppy. Competitively, the season was most notable for the blockbuster visit of Milan from Italy's Serie A, and the surprising 4–0 away defeat of D.C. United in the Eastern Conference Semi-finals. 2006 arrived, and the Fire moved from Soldier Field into its new stadium in Bridgeview, a southwest suburb of Chicago: Toyota Park, located at the corner of 71st Street and Harlem Avenue. In its first season, it played host to an unspectacular league campaign; but victory in the 2006 U.S. Open Cup marked a continuation of the club's successes and promise for the future. 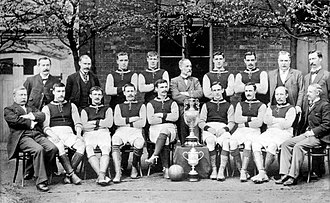 The anxiety to win another league title continued to grow, however. Sarachan entered 2007 (his fifth season in charge) under intense pressure from fans and the administration to produce a league championship. Tension mounted further on April 3, 2007, when the Fire signed Mexico and América star Cuauhtémoc Blanco to a Designated Player contract. After a perfect three matches to open the year, they won only one of their next eight, and Sarachan was dismissed. Following a brief search, Millonarios manager Juan Carlos Osorio was named the club's third head coach. More change came soon afterward. On September 6, 2007, Andell Holdings, a Los Angeles-based private investment firm controlled by chairman Andrew Hauptman, acquired AEG's interest in the Chicago Fire Soccer Club. Reports estimated the purchase price to be upwards of $35 million. The team has not won a major trophy since Hauptman bought the team. On the field, behind Blanco and Wilman Conde, Osorio's central defender at Millionarios, the Fire went on an extended unbeaten run to close the season, easily qualifying for the playoffs but were defeated at New England in the Eastern Conference Final. On December 10, 2007, the Fire announced Osorio's resignation. He was named manager of the New York Red Bulls eight days later. Hauptman filed tampering charges with the league in protest, and the Fire were compensated by the Red Bulls with cash and draft picks. Changes came quickly in Osorio's wake. On January 17, 2008, former Fire star Frank Klopas was named Technical Director in charge of player personnel, and longtime Fire assistant Denis Hamlett was appointed manager. While the Fire struggled at home in 2008 the team found unusual success on the road, gathering 22 out of a possible 45 away points. Momentum grew with the long-anticipated signing of Chicago native Brian McBride on a free transfer in July 2008. After disposing of the Red Bulls 5–2 in the season's final game, they decisively conquered New England in the first round of the playoffs with a 3–0 victory at home. This was Chicago's first playoff advancement over the Revolution in four consecutive seasons. But triumph only lasted for a week, as they again missed the league final with their 2–1 Eastern Conference Final loss to eventual champion Columbus. The 2009 season saw few alterations to the previous year's roster. The story of the season was much the same, as continued poor home form offset excellent performances away from Toyota Park. This led to a second place Eastern Conference finish behind Columbus. Despite this, Real Salt Lake managed to upset the Crew in the quarterfinals, meaning Chicago would host the semi-final for the first time in six years. Chicago's nearly flawless home playoff history meant little in the end, as they lost to Salt Lake, 5–3, on penalties after 120 scoreless minutes. Shortly thereafter, manager Denis Hamlett was dismissed. Leading up to 2010, Chicago hired Carlos de los Cobos as head coach, previously manager of El Salvador. Cuauhtémoc Blanco, Chris Rolfe and Gonzalo Segares all departed. More changes came in the summer transfer window with the trade of Justin Mapp to Philadelphia, the acquisition of Mexican international striker Nery Castillo, and the trade for former Swedish international midfielder Freddie Ljungberg. Defender Gonzalo Segares returned to the Fire, leaving Apollon Limassol after only six months away. Despite these reinforcements, the Fire failed to qualify for the playoffs for only the second time in club history. Former U.S. international Brian McBride and club original C.J. Brown retired at season's end, followed closely by the departures of Wilman Conde, Ljungberg, and Castillo. 2011 began much in the way of 2010, with foundering performances both home and away. After nine winless matches, Carlos de los Cobos was let go on May 30, 2011. Technical Director Frank Klopas was named interim head coach. Behind summer reinforcements Pável Pardo and Sebastián Grazzini, as well as forward Dominic Oduro's 12 goals after being acquired in a trade from Houston and Dan Gargan's defensive addition, the Fire qualified for the U.S. Open Cup Final (lost at Seattle) and narrowly missed making the playoffs after gaining 24 points in their last 12 league matches. After the season's conclusion, Klopas was given the permanent manager job on November 3, 2011. Although expectations were modest for 2012, Klopas' first full season as coach, the year saw a change in fortune for the Fire. The spring and summer months saw several new acquisitions for the club, starting with the reacquiring of Chris Rolfe from Aalborg BK. Rolfe, who scored eight goals and 12 assists in the 21 games he played in 2012, would later be named the Fire's MVP. Other signings included Brazilian midfielders Alex Monteiro de Lima from the Swiss side FC Wohlen, Alvaro Fernandez from Seattle Sounders FC, forward Sherjill MacDonald from Beerschot AC of Belgium and veteran defender Arne Friedrich from VfL Wolfsburg. Although they would fall out of the U.S. Open tournament early that season, the Fire eventually compiled a 17–11–6 record, their best since 2000, and ranked as high as second in the Eastern Conference before ending the year in fourth place. On October 31, 2012, in their first playoff appearance since 2009, the Fire lost their first-round MLS Cup playoff match-up at home against the Houston Dynamo, 2–1. In the 2012–2013 offseason, the franchise made some moves to improve on 2012's success. The team acquired Joel Lindpere and Jeff Larentowicz and also traded Dominic Oduro for Dilly Duka and the rights to Robbie Rogers. The beginning of the season saw the team struggling to score goals, resulting in a record of 2–5–1 through April. After two successive losses to the Union in May, and with veteran Arne Friedrich still on injured reserve, the Fire acquired their former centerback Bakary Soumaré from Philadelphia. Also in May, Robbie Rogers expressed an interest to play in Southern California, at which point a deal was brokered for Rogers' rights in exchange for Chicago native Mike Magee from the Los Angeles Galaxy. On June 23, 2013, Friedrich, who had not played a 2012–13 game due to recurring injuries, announced his retirement. After starting the season 2–7–3, the additions of Soumare and Magee led to seven wins in the squad's last 10 games. The Fire were busy in the transfer window as well, adding veteran defensive midfielder Arévalo Ríos and forward Juan Luis Anangonó. The Chicago Fire also advanced to host the semifinal of the 2013 Lamar Hunt U.S. Open Cup, but fell 2–0 to eventual champions D.C. United. Alleged fan actions in the stadium that night led to a famous editorial piece, "What it means to be a part of the Fire family", being penned by the club's Director of Communications, which was seen as an odd attack on the fan base and widely panned by local and national media. After a 12–6–6 finish to the season, the Fire narrowly missed the playoffs for the third time in the last four years—losing out to the Montreal Impact on goal difference. On October 30, 2013, the club announced that the president of soccer operations Javier Leon and head coach Frank Klopas had stepped down, but the Fire front office had a replacement one day later. On October 31, 2013 Chicago Fire named Frank Yallop as its new head coach and director of soccer. On December 5, 2013, Fire MVP Mike Magee became the first Fire player to win the MLS MVP Award—beating out Los Angeles Galaxy's Robbie Keane and Montreal Impact's Marco Di Vaio for the honor. Meanwhile, Yallop was busy recruiting a new coaching staff which included "Ring of Fire" member and Chicago Fire veteran C. J. Brown and former U.S. International striker Clint Mathis as the team's assistant coaches, adding Columbus Crew's Brian Bliss as Technical Director. Former Fire forward Brian McBride was added as an assistant coach in May 2014 for a short-term assignment. The shake-up extended to the roster, as Yallop moved team veterans and starters and brought in youth prospects—reforming the team while freeing up cap space. Major exits in early 2014 included Chris Rolfe, Austin Berry, Jalil Anibaba, Daniel Paladini, and Paolo Tornaghi. Filling that void was a handful of youth prospects including Harrison Shipp (homegrown player), Benji Joya (via MLS "weighted lottery"), and Grant Ward on loan from Tottenham Hotspur. Despite rarely looking like a team that could advance to the MLS Cup Playoffs, the team once again advanced to the semifinals of the 2014 Lamar Hunt U.S. Open Cup, but were routed 6–0 by eventual champions Seattle Sounders FC on August 13. The result was the worst competitive defeat in club history and saw Frank Yallop issue an apology to Chicago Fire supporters on the club's official website. As the Cup run had, the season ended in disappointment, with the Fire ending the season with a 6–18–10 record, with 18 draws, also setting a record for most draws in an MLS season in the process. The club began 2015 with renewed hope, bringing three new Designated Player signings in David Accam, Shaun Maloney and Kennedy Igboananike to bolster an anemic attack. The club also signed products Michael Stephens and Eric Gehrig as well as Trinindad & Tobago international Joevin Jones. With so many new pieces needing to adjust, 2015 marked the first time in club history the side began the season with an 0–3–0 record, but they showed signs of recovery by winning their next three matches. Unfortunately, April was the last time the club would be anywhere near equal on wins and losses, but the side did still advance to another Lamar Hunt U.S. Open Cup semifinal. Playing in front of a sparse crowd at the Philadelphia Union's PPL Park, the Fire fell 1–0 at the same hurdle for the third straight season. Less than two weeks later, Maloney, who was the club's center piece offseason signing, was transferred back to England with Hull City sighting personal reasons. Despite no hope for a Cup final, widespread fan protests and dim likelihood of a playoff berth, the club didn't part ways with Frank Yallop until September 20, 2015, one day after another listless 1–0 home defeat to Orlando City SC. Along with Yallop's departure, the club announced it had named long-time MLS executive Nelson Rodriguez as the club's new general manager, with his first job being to commence a search for a new head coach. Technical director Brian Bliss was given the interim head coaching job, with former player and current club vice president Logan Pause assisting for the remaining five matches. The club has finished the 2015 season with an overall record of 8 wins, 20 losses and 6 ties. For the first time in the club's history Fire finished the season with zero road wins (0–12–5). Twenty losses in a season became the highest in the club's history. On November 18, 2015, Rodriguez made his first moves as GM, firing most of Yallop's remaining technical staff, including goalkeeping coach Aron Hyde, fitness coach Adrian Lamb and Director of Scouting Trevor James. Rodriguez also parted ways with the club's long-time Director of First Team Operations Ron Stern, Equipment Manager Charles Raycroft and Assistant Equipment Manager Allan Araujo. On November 24, 2015, the club announced that Veljko Paunovic, former coach of the Serbian U-20 side that won the 2015 FIFA U-20 World Cup, had been named the new head coach of the Chicago Fire. On January 5, 2016, technical director Brian Bliss also departed the Fire to join Sporting Kansas City as Director of Player Personnel, completing the total overhaul of the technical staff. On March 21, 2017 Manchester United allowed Bastian Schweinsteiger to join Chicago Fire, subject to a medical and a visa being secured. The move from Manchester United was completed on March 29, 2017. On July 11, 2018, the club announced that Hauptman had sold a 49% stake of his ownership to Joe Mansueto, the founder of Morningstar, Inc. The Chicago Fire logo is derived from the standard shape of a fire department's crest (also shown by the Chicago Fire Department), also known as a Florian's cross. This style was chosen by the original general manager, Peter Wilt, to establish a timeless image evocative of both classic American sports (as in the logos of the NHL Original Six) and the traditions of European soccer. The logo features a stylized 'C' at its heart (representing Chicago), similar to the logos of the Bears and Cubs. The six points in a ring around the center allude to the stars in the Municipal Flag of Chicago, specifically the one commemorating the Great Chicago Fire of 1871. Nike, the Fire's original equipment supplier, intended for the team to be named the Chicago Rhythm. The Rhythm identity featured a turquoise, black and green color scheme, and a logo adorned with a cobra. Team officials ignored Nike's work, and privately developed the Fire identity with the help of Adrenalin, Inc., a well-known sports-specific branding agency. The original Fire shirts were chosen because of their resemblance to a Chicago fireman's coat, featuring broad horizontal stripes across the torso and sleeves. In the first year, the home jersey was red and white with a silver "FIRE" on the stripe; while the away shirts were white and black in the same style. The jersey has remained remarkably constant ever since, continually maintaining the same format of an all-red shirt with a white horizontal chest stripe, even through changes in equipment sponsor (from Nike, to Puma, and currently adidas), until 2012 when the white stripe was exchanged for a blue stripe. Conversely, the Fire's secondary shirts have changed much over the years from white with black, to white with navy, to white with red, to all-white style and the all-blue currently used. Third shirts have often been yellow (originally to honor the Chicago Sting, later for the expired partnership with Morelia). A popular light blue third shirt was worn in 2005, based on the Municipal Flag of Chicago but was discontinued during the sponsorship change to Adidas the next year. The club and their fans make frequent use of the symbols of Chicago, as a show of civic pride. Most prominent are the six-pointed Chicago stars, but the light blue color associated with the city, the municipal device, and the city skyline appear regularly on materials produced by the club and its fans. The municipal flag of Chicago is also favored by fans and often seen at the stadium, in a manner akin to the use of the flag of Catalonia by FC Barcelona fans but without a nationalist subtext. Chicago plays its home games at SeatGeek Stadium, a soccer-specific stadium located at 71st Street and Harlem Avenue in the Chicago suburb of Bridgeview, Illinois, about 12 miles southwest from downtown Chicago. The stadium opened on June 11, 2006 and was developed at a cost of around $100 million. The Village of Bridgeview owns and operates SeatGeek Stadium. Toyota Park will be renamed SeatGeek Stadium after the end of the 2018 season, with an estimated price between 2.5 million to 4 million per year. For its first years in the league the Fire played at Soldier Field, the 61,500-capacity home of the Chicago Bears of the NFL and one of the main venues of the 1994 FIFA World Cup. While that stadium was undergoing a $632 million renovation, the Fire played at Cardinal Stadium in Naperville, Illinois, on the outskirts of the Chicago metropolitan area. They returned to Soldier Field toward the end of 2003, remaining there through the end of 2005. There is a noteworthy fan culture for the Fire, existing from the date the club was founded, and building on an enthusiasm throughout Chicago sports. At matches, supporters and ultras groups occupy a standing area directly behind the north goal, in the Harlem End of Toyota Park. This area is referred to as Section 8, originating from the numbering of the corresponding section at Soldier Field and the American military designation of mentally unfit soldiers. Section 8 Chicago, the Independent Supporters' Association (ISA) for the Fire, oversees the activities of these numerous groups. While incorporating a worldwide variety of styles with a Chicago bent, groups as part of Section 8 generally fall under the ultras designation. Additionally, an associated spinoff group called "Sector Latino" congregates in the corner-kick Section 101 at the stadium's southwest end. There are also several other affiliated ultras and supporters groups, including The Arsonists, Banter Buddies, Blitzer Mob, Husaria, Fire Ultras 98, Partisans, Red Scare, Second City North, The Western Front, Ultras Red-Side, and Whiskey Brothers Aught-Five. The Section 8 Chicago ISA is a registered 501(c)7 non-profit organization run by volunteers through an elected board of directors. Match atmosphere is known for organized displays of stadium-wide support, particularly for matches of prime competitive importance. Call-and-response cheering amongst the crowd is commonplace. Fans at Toyota Park for Fire matches periodically choreograph tifo presentations both to show their pride and inspire the players on the field. Toyota Park remains one of the few American environments to conduct such fan-driven presentations on a large scale. Their official mascot is Sparky, an anthropomorphic Dalmatian dog. Sparky is usually shown wearing the club's jersey but also arrives wearing firefighter attire. While the Fire have heated rivalries with a number of different MLS teams, Fire supporters of different ages will likely give different responses as to who the club's main rival is. The earliest Fire supporters would list Brimstone Cup rival FC Dallas as the Fire's nemesis, or Los Angeles Galaxy following heated playoff and cup matches with Dallas and L.A. in the league's early years. After the Fire moved to the Eastern Conference, meetings with Dallas and LA became less frequent. Rivalries with D.C. United and New England Revolution were stoked following several thrilling playoff meetings. The Fire and Revolution are MLS' most frequent playoff matchup, meeting in the MLS Cup Playoffs 8 different times in 10 seasons from 2000 to 2009, splitting those encounters 4–4, with the Fire winning in 2000, 2003, 2008, and 2009. New England ended the Fire's playoff runs in 2002, 2005, 2006, and 2007. Newer rivals include Columbus Crew, who are the closest MLS team geographically to the Fire, and New York Red Bulls following the departure of former Fire head coach Juan Carlos Osorio to New York in 2007. In 2015, the Chicago Fire and NBC Sports Chicago (then Comcast SportsNet Chicago) agreed to a three-year deal, which includes 21 regular season and postseason matches for 2015. Fire matches were televised locally on NBC Sports Chicago. Dan Kelly and former Fire coach Frank Klopas provided play-by-play and color commentary, respectively. Matches were previously televised by NBC Chicago Nonstop and WPWR-TV. In 2016, the Chicago Fire and Tribune Broadcasting agreed to a three-year deal, which will see all regular season and postseason matches broadcast on WGN Radio and their internet-only sister station WGN Plus starting in the 2017 MLS season. On March 9, 2018, the Chicago Fire announced that ESPN had acquired the regional television rights to the team through 2020, and that their regionally-televised matches will stream exclusively on ESPN's upcoming subscription service ESPN+. The team's matches would be streamed online for free until the launch of ESPN+ on April 12, 2018. Behind Los Angeles FC, the Fire are the second MLS franchise to sell their regional television rights exclusively to an over-the-top content provider (with the former having signed with YouTube TV). ESPN+ also holds the out-of-market streaming rights for regional MLS matches as part of its overall service. For details on former players, see All-time Chicago Fire roster. The "Ring of Fire" was established in 2003 by Chicago Fire Soccer Club and the Chicago Fire Alumni Association as permanent tribute to honor those who have made the club proud and successful over its history. Aside from the initial member Piotr Nowak, only "Ring of Fire" members can select new inductees, and no more than one can be selected any year. Names and numbers (if applicable) are prominently displayed inside SeatGeek Stadium. There were no inductees in 2008, 2010, or 2011. In 2008, the members voted to honor two recently deceased fans (supporter leaders Dan Parry and Brandon Kitchens) but were overruled by the club chairman Andrew Hauptman. Parry and Kitchens were later made members of the Wall of Honor, a special recognition for Fire fans. In addition to Parry and Kitchens, the late Fire fans Euan McLean and Al Hack have been inducted into the Wall of Honor as of 2011. C.J. Brown was expected to be honored in 2011, but a new rule was established that inductees must have been away from the club for at least a calendar year. Brown, at the time an assistant head coach at Real Salt Lake, was officially inducted at the halftime ceremony during the home game vs. Real Salt Lake in Toyota Park on May 9, 2012. On October 3, 2015, Ante Razov, the club's all-time leading scorer, became the eight individual to be inducted into the club's Ring of Fire Hall of Fame. The ceremony took place on that day during the halftime of the regular season home match against New England Revolution. *Golden Boot is the team leader in goals (regular season games only). ^ "Chicago Fire Club History". chicago-fire.com. ^ "Fire Fire Peter Wilt, Fans Protest". chicagoist.com. Archived from the original on October 17, 2007. Retrieved December 31, 2007. ^ "Hauptman to Purchase Chicago Fire". Thesportsbizblog.blogspot.com. July 12, 2007. Retrieved December 3, 2011. ^ "The owner that won't let go". soccerbyives.net. 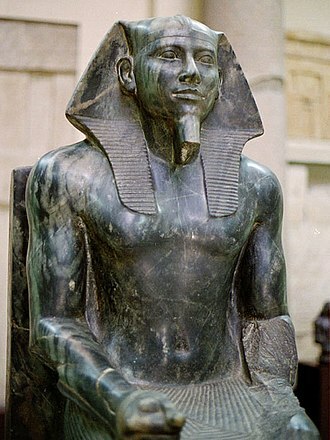 ^ "Fire sack Hamlett". fifa.com. ^ "Fire, CLDC Part Ways". ^ "FIRE NAMES FRANK KLOPAS HEAD COACH". ^ "Fire reacquire forward Chris Rolfe". ^ "Fire Announce 2012 Team Award Winners". ^ "2012 Regular Season Standings". ^ "2013 M.L.S. Preview: Eastern Conference". ^ Bell, Jack; Das, Andrew (February 28, 2013). "2013 M.L.S. Preview: Eastern Conference". The New York Times. ^ "Union trade Bakary Soumaré to Chicago Fire". May 23, 2013. Retrieved May 23, 2013. ^ McCarthy, Jack (May 25, 2013). "Magee trade for Rogers confirmed, expected to join Fire Monday". Chicago Tribune. ^ "Chicago Fire Defender Arne Friedrich Announces Retirement". chicago-fire.com. June 23, 2013. Retrieved June 23, 2013. ^ "Chicago Fire coach Frank Klopas raves about new DP Arevalo Rios: "This guy's a world-class player"". MLSsoccer.com. Retrieved June 30, 2015. ^ "EDITORIAL: What it means to be a part of the Fire family". Chicago-Fire.com. Archived from the original on July 4, 2014. Retrieved November 30, 2014. ^ "Chicago Fire Soccer Club President of Soccer Operations Javier Leon and Head Coach Frank Klopas To Step Down". chicago-fire.com. October 30, 2013. ^ "Chicago Fire Names Frank Yallop as New Head Coach and Director of Soccer". chicago-fire.com. October 31, 2013. ^ "Marco Di Vaio, Robbie Keane & Mike Magee vie for Volkswagen MVP as MLS reveals award finalists". mlssoccer.com. November 20, 2013. ^ "Chicago Fire forward Mike Magee voted 2013 Volkswagen MLS Most Valuable Player". mlssoccer.com. December 5, 2013. ^ "RELEASE: Chicago Fire Forward Mike Magee Wins 2013 Volkswagen MLS Most Valuable Player Award". chicago-fire.com. December 5, 2013. ^ "Chicago Fire name longtime Columbus Crew fixture Brian Bliss as new technical director". MLSsoccer.com. December 6, 2013. ^ "Chicago Fire Soccer Club Adds Clint Mathis to Coaching Staff". Chicago-Fire.com. January 31, 2014. ^ "RELEASE: Chicago Fire Soccer Club Names C.J. Brown Assistant Coach". chicago-fire.com. December 11, 2013. ^ "Brian McBride rejoins Fire—as an assistant". Chicago Tribune. May 28, 2014. ^ "Chicago Fire trade Chris Rolfe to D.C. United for allocation money". MLSsoccer.com. April 2, 2014. ^ "Chicago Fire deal ironman defender, 2012 Rookie of the Year Austin Berry to Philadelphia Union". February 24, 2014. ^ "Fire head coach Frank Yallop apologizes to supporters for Open Cup semifinal defeat". Chicago-Fire.com. August 14, 2015. ^ "Report: Chicago Fire set to transfer midfielder Shaun Maloney to Hull City". MLSsoccer.com. August 20, 2015. ^ "#HauptmanOut: Fire fans protest against ownership". hottimeinoldtown.com. July 7, 2015. ^ "Chicago Fire soccer fans in the mud pit of hell". chicagotribune.com. September 30, 2015. ^ "Chicago Fire Soccer Club Names Former MLS Executive Nelson Rodríguez General Manager". Chicago Fire. Archived from the original on October 17, 2015. Retrieved October 5, 2015. ^ "Bliss: Fire Should Hold Heads High Despite Season-Ending Loss to Red Bulls". chicago-fire.com. October 25, 2015. ^ "Chicago Fire Soccer Club Announce Soccer Staff Changes". Chicago-Fire.com. November 18, 2015. ^ "Chicago Fire Soccer Club Hires Veljko Paunovic as Head Coach". Chicago Fire Communications. November 24, 2015. ^ "Sporting KC Names Brian Bliss Director of Player Personnel". Sporting KC Communications. January 5, 2016. ^ Stone, Simon (March 21, 2017). "Bastian Schweinsteiger: Manchester United allow midfielder to join Chicago Fire". BBC Sport. Retrieved March 21, 2017. ^ "Bastian Schweinsteiger says he is 'sad' to leave Manchester United for Chicago Fire". Sky Sports. March 21, 2017. Retrieved March 21, 2017. ^ Marshall, Adam (March 21, 2017). "SCHWEINSTEIGER TO JOIN CHICAGO FIRE". manutd.com. Retrieved March 21, 2017. ^ "Chicago Fire Soccer Club Acquires World Champion Bastian Schweinsteiger as Designated Player". chicago-fire.com. March 21, 2017. Retrieved March 21, 2017. ^ Stejskal, Sam (March 22, 2017). "How the Chicago Fire embraced past futility to land Bastian Schweinsteiger". mlssoccer.com. Retrieved March 22, 2017. ^ Marshall, Adam (March 29, 2017). "SCHWEINSTEIGER SEALS CHICAGO FIRE MOVE". Retrieved March 29, 2017. ^ Bannon, Tim (July 11, 2018). "Chicago billionaire Joe Mansueto buys 49 percent stake in Fire". Chicago Tribune. Retrieved July 11, 2018. ^ DeSimone, Bonnie. "Name Game Ends: It's Fire," Chicago Tribune, Thursday, October 9, 1997. ^ "Chicago Fire". Adrenalin, Inc. Retrieved June 30, 2015. ^ "Chicago Fire sign Valspar as new jersey sponsor". chicagobusiness.com. October 14, 2015. ^ "Indebted Chicago Suburb Catches a Break With Naming Rights Deal". Bloomberg.com. April 19, 2018. Retrieved April 25, 2018. ^ Crandall, Jeff. "Stand Sing Participate". Chicago Fire. Retrieved December 18, 2016. ^ Parker, Graham (March 18, 2015). "'We're anarcho-syndicalists': an interview with Chicago Fire's Section 8". The Guardian. Guardian News and Media Limited. Retrieved December 11, 2016. ^ "Mission Statement Section 8 Chicago". Section 8 Chicago. Archived from the original on December 20, 2016. Retrieved December 11, 2016. ^ "Sector Latino". Retrieved December 18, 2016. ^ "Supporters Groups". Retrieved March 5, 2018. ^ "About Section 8 Chicago". Section 8 Chicago. Retrieved December 11, 2016. ^ "Songs and Chants". Chicago Fire. Retrieved December 18, 2016. ^ Crandall, Jeff (August 8, 2010). "The Tifo Display". Chicago Fire. Retrieved December 18, 2016. ^ "Sparky". Retrieved January 16, 2012. ^ "Chicago Fire and Comcast SportsNet Chicago agree to multi-year broadcasting deal". Chicago Fire. January 26, 2015. Retrieved December 11, 2016. ^ "Chicago Fire and Comcast SportsNet Chicago Announce Regional Broadcast Plans" (Press release). Chicago, Illinois: Chicago Fire. February 23, 2016. Retrieved December 18, 2016. ^ Ecker, Danny (January 26, 2015). "Chicago Fire games moving back to CSN Chicago". Crain's Chicago Business. Retrieved December 12, 2016. ^ Pimiento, Juan. "Chicago Fire sign exclusive TV deal with ESPN+ streaming service". Chicago Tribune. Retrieved March 10, 2018. ^ "How to watch out-of-market MLS matches in 2018". MLSSoccer.com. Retrieved March 4, 2018. ^ "ESPN's Web Service Gains Exclusive Pro Soccer Rights". Bloomberg.com. February 13, 2018. Retrieved February 13, 2018. ^ "FAQs: Chicago Fire on ESPN+". Chicago Fire. March 9, 2018. Retrieved March 9, 2018. ^ "Ring of Fire". Chicago Fire. Retrieved October 5, 2015. ^ "Wall of Honor". Chicago Fire SC. Retrieved September 30, 2012. ^ Guillermo Rivera (June 6, 2011). "CJ Brown Will Have To Wait | Chicago Fire Confidential". Chicagonow.com. Retrieved December 3, 2011. ^ "Brown returns to Chicago for "Ring of Fire" induction". chicago-fire.com. May 9, 2012. ^ "CJ Brown: Fire Legend, Ring of Fire Inductee". May 10, 2012. ^ "Ring of Fire". chicago-fire.com. ^ "Chicago Fire Host New England Revolution on Special Evening at Toyota Park". chicago-fire.com. ^ a b "Chicago Fire Soccer Club Announces Executive Leadership Moves". ^ "The Legend Continues: Logan Pause named Vice President of Chicago Fire Soccer Club". chicago-fire.com. November 3, 2014. ^ "Fire Names Frank Klopas Head Coach". Chicago Fire. November 3, 2011. Retrieved December 11, 2016. ^ "RELEASE: Chicago Fire appoints Brian Bliss Technical Director". chicago-fire.com. December 6, 2013. ^ "Technical Staff". Chicago Fire. Retrieved May 25, 2013. ^ "New York City FC Adds CJ Brown to Coaching Staff". nycfc.com. December 1, 2014. ^ "Chicago Fire Announce Two Additions to Technical Staff". Chicago Fire. Retrieved June 30, 2015. ^ "Retired Chicago Fire defender Eric Gehrig hired by club as assistant coach". mlssoccer.com. February 15, 2017. ^ "Chicago Fire announce affiliation with USL's Tulsa Roughnecks FC". Major League Soccer. Retrieved February 20, 2017. The Supporters Shield is an annual award given to the Major League Soccer team with the best regular season record, as determined by the MLS points system. The Supporters Shield has been awarded at the MLS Supporters Summit since 1999. It echoes the practice of the top European soccer leagues in which the team with the best record is the champion, since 2006, the Supporters Shield winner has earned a berth in the CONCACAF Champions League. United and LA Galaxy, with four Supporters Shields each, have won the most shields of any MLS team, FC Dallas are the 2016 holders of the Supporters Shield. When Major League Soccer had its season in 1996, the league resembled its contemporary North American leagues. 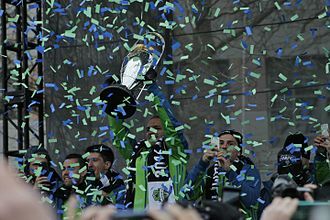 After the regular season, the campaign culminated with the MLS Cup Playoffs, en route to the championship match. The club with the best regular season record received nothing more than the top seed in the playoffs. In 1997, soccer fan Nick Lawrus proposed the notion of a Supporters Scudetto, as a result of the Tampa Bay Mutiny earning the best regular season record but failing to win the 1996 MLS Cup final. A committee composed of members of all MLS teams supporters changed the name to Supporterss Shield but, the following year, another group led by soccer enthusiast Sam Pierron tried to revive the idea by giving an award to the regular season champions. Since MLS refused to fund the idea, Pierron began fundraising to purchase a trophy with the help of supporters from various MLS clubs, fundraising was boosted with the assistance of ESPNs MLS commentator Phil Schoen donating for the award. In the end, nearly $3,000 was donated to commission the trophy, the money donated to create and purchase the trophy was not fulfilled until the tail end of the 1999 season, when the second MLS Supporters Summit was held. United is the first currently active MLS club to win the Supporters Shield. Since the 2000 season, the system of awarding points in Major League Soccer is the same as the international standard, as of the 2014 season, new rules are in place for breaking ties. In February 2006, USSF decided that the Supporters Shield winner, if the Supporters Shield winner wins the MLS Cup, the team with the second highest regular season point total qualifies as well. Joshua David Josh Wolff is a retired American soccer player who now works as an assistant coach for Columbus Crew SC of Major League Soccer. Born in Stone Mountain, Wolff played three years of soccer at the University of South Carolina, where he scored 21 goals. He played at South Carolina with future United States national team star Clint Mathis, in addition, Wolff played and captained varsity soccer at Parkview High School, Georgia. After his junior season, Wolff left college and signed with Major League Soccer, MLS assigned Wolff to the Chicago Fire. He set the MLS rookie scoring record by scoring eight goals, Wolff played the following four seasons for the Fire, scoring 24 goals, but suffered through multiple injuries. Before the 2003 MLS Superdraft, the Fire traded Wolff, in a move, to the Kansas City Wizards in exchange for the third overall pick. Wolff missed most of the 2003 season due to injuries and he rebounded in 2004 by scoring ten goals and seven assists during the season. Wolff scored his first career goal on a penalty kick during the MLS Cup 2004. 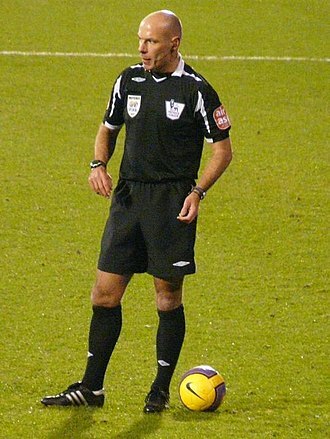 He scored ten goals and ten assists in 2005, in September 2006, Wolff had a try out with English Championship club Derby County. The team was pleased enough with his performance to offer MLS a $500,000 transfer fee. However, British immigration officials denied Wolff a work based on the fact he had failed to play the required 75% of the U. S. national teams games in the previous two years. From England, Wolff traveled to Germany for a try out with 2, on December 6,2006,1860 Munich signed Wolff to a contract through the 2007–2008 season. Munich paid MLS a $191,000 transfer fee, Wolff joined the team during its January 2007 mid-winter training camp but was waived at the end of the 2008 season. Wolff signed with the Kansas City Wizards on June 30,2008, at the end of the 2010 MLS season, after two and a half seasons back in Kansas City, Wolffs contract option was declined by the club. On December 15,2010, Wolff was selected by D. C, United in Stage 2 of the 2010 MLS Re-Entry Draft and immediately signed a one-year contract with a club option for 2012. Fotios Frank Klopas is a retired American soccer forward. Following his retirement, he served as a commentator for the Chicago Fire before working as a front office executive. Klopas emigrated to the United States from Prosymna Greece when he was eight years old and he and his family settled in Chicago, where he attended and played boys soccer, at Mather High School, which he led to the Chicago Public League championship his senior year. In 1983, he signed with the Chicago Sting of the North American Soccer League straight out of high school, Klopas would play for the indoor Sting in the MISL for four seasons. He earned second team All Star honors during the 1986-1987 season, in 1988, Klopas moved to Greece to play with AEK Athens FC. He played four seasons with the team, however, he tore his anterior cruciate ligament in 1991. That injury and a subsequent infection hindered his playing for two years. In 1992, Klopas signed a contract with the U. S, Soccer Federation to play full-time for the United States mens national soccer team. After the 1994 FIFA World Cup, Klopas returned to Greece and signed with Apollon Athens in 1994 for the remainder of the 1994-1995 season and he debuted with Apollon against his former Greek club, AEK Athens FC. In 1996, Major League Soccer began developing teams for its inaugural season, in order to ensure an equitable distribution of talent to each team, MLS allocated known players to each team. MLS allocated Klopas to the Kansas City Wizards where he would spend two years, after being sent to the Columbus Crew just before the 1997 MLS Expansion Draft, he was traded in February 1998 to the Chicago Fire for Jason Farrell, who had been selected from the Crew. Klopas would play two years for Chicago before retiring, helping them to the MLS Cup in 1998 and the U. S. Open Cup to complete The Double, in four years in MLS, Klopas scored 13 goals and added 16 assists. He had six goals and five assists in 40 games—24 starts—for the Fire, Klopas most notable goal for the Fire came in Golden Goal overtime of a 2-1 win over the Columbus Crew in the 1998 U. S.
Cory Gibbs is an American former soccer player. He played professionally for clubs in Germany, the Netherlands and England and he played 19 international matches for the U. S. national soccer team, including at the 2003 CONCACAF Gold Cup. Gibbs was born in Fort Lauderdale, Florida and he played college soccer at Brown University, joining the team in 1997. During his career, Brown won three Ivy League Championships and participated in the NCAA Tournament all four years, in 2000, Gibbs led Brown to an Ivy League championship and the Elite Eight of the NCAA Tournament. He was named Ivy League Player of the Year, and a First-Team All-American, in 2000, he spent the collegiate off season with the Palm Beach Pumas of the Premier Development League. He was one of three Brown soccer players, including Matthew Cross and Scott Powers, to be drafted in the 2001 MLS SuperDraft, after graduating from Brown in 2001, Gibbs decided not to play in MLS and joined FC St. Pauli of the Bundesliga. He played 25 games for St.
Pauli that season, becoming the youngest American to score a goal in the Bundesliga with a goal against FC Cologne, St. Pauli was relegated to the 2. Bundesliga after the 2001–02 season, and Gibbs played an important role with the team in his second season as in his first. St. Pauli, was relegated again after the 2002–03 season, this time to the Regionalliga Nord, Gibbs remained with the team, being moved from central defense to defensive midfielder. Gibbs decided to leave St. Pauli during 2003 due to the low level of play, a move to Jahn Regensburg of the 2. Gibbs returned to the United States and play in Major League Soccer, although the Columbus Crew initially tried to acquire Gibbs, he eventually ended up with FC Dallas, known as the Dallas Burn. Gibbs was a starter in game for which he was available during his stint with Dallas. He made a total of 21 appearances, on January 20,2005, the Dutch club Feyenoord agreed on a transfer with MLS, and Gibbs signed a four and a half year contract with the club. Navy Pier is a 3, 300-foot-long pier on the Chicago shoreline of Lake Michigan. It is located in the Streeterville neighborhood of the Near North Side community area and it is one of the most visited attractions in the entire Midwestern United States and is Chicagos number one tourist attraction. Navy Pier opened to the public on July 15,1916, many events were held at the pier, such as expositions and other types of entertainment. In the summer of 1918 the pier was used as a jail for draft dodgers. In 1927, the pier was renamed Navy Pier to honor the veterans who served in the First World War. In 1941, during World War II the pier became a center for the Navy. About 10,000 people worked and resided there, the pier contained a 2, 500-seat theater, gym, 12-chair barber shop, cobbler shops, soda fountain and a vast kitchen and hospital. In 1946, as the Navy was winding down from its mission, though the maximum capacity was exceeded the school outgrew the pier and the university relocated to Circle Campus. After the university left, the Navy Pier became underutilized, in 1959, the St. Lawrence Seaway opened and increased commercial shipping activity at the pier for a short time, though business died down and left for more modern facilities at Lake Calumet. In 1976 the East End buildings were renovated and for a period the pier was alive again. But maintenance was not done and the pier went into decline, in 1989, the City of Chicago had the Urban Land Institute reimagine uses for the pier. The Metropolitan Pier and Exposition Authority was created, its responsibility was to manage, the MPEA undertook the redevelopment, incorporating some of ULI’s recommendations. In 1995, Navy Pier was redesigned and introduced to the public as a mixed-use venue incorporating retail, entertainment, starting in 2014, the redevelopment plan called The Centennial Vision was implemented. The Centennial Vision was completed in summer 2016, the Polk Family Foundation donated $20 million to the redevelopment effort, the park and fountain at the entrance to the pier was named the Polk Brothers Park and Fountain. Hristo Stoichkov is a retired Bulgarian footballer who is currently a football commentator for Univision Deportes. A prolific forward, he is regarded as one of the best players of his generation and is considered the greatest Bulgarian footballer of all time. He was runner-up for the FIFA World Player of the Year award in 1992 and 1994, in 2004, Stoichkov was named by Pelé in the FIFA100 list of the worlds greatest living players. At club level, Stoichkov spent six years at CSKA Sofia and became the top goalscorer in Europe in 1990, during his time at the club he formed a lethal strike partnership with Romário. Cruyff was largely instrumental in bringing him to Barcelona where he developed into one of the most prolific forwards in the world. Stoichkov was a member of the Bulgaria national team finished fourth at the 1994 World Cup, of which he was the top scorer with six goals. He was ranked the third best player at the World Cup, after Romário and Roberto Baggio, apart from his footballing talent, he was notable for his on-pitch temper. In his playing career he was nicknamed The Dagger, Stoichkov was born in the village of Yasno Pole near Plovdiv. The people of Yasno Pole voted in 1997 to change to the name to Stoichkovo in his honour, Stoichkov began his football career playing for hometown club Maritsa Plovdiv at the age of eleven. In 1982 he moved to Hebros Harmanli, scoring 14 goals in the level of Bulgarian football. In early 1985, Stoichkov joined CSKA Sofia and he made his comeback for CSKA on 30 April 1986, in a 3–1 away win over Sliven in a game of the Cup of the Soviet Army. On 21 May, Stoichkov opened the scoring in the final of tournament against Lokomotiv Sofia and he continued his progress during 1986–87, becoming a regular in the left side of CSKAs attack. Stoichkov collected his first A Group title winners medal at the end of the season and he scored 6 league goals that season. Stoichkov managed to win the European Golden Boot with CSKA by scoring 38 goals in 30 games during the 1989–90 A Group season, after 5 years with CSKA Sofia, Stoichkov transferred to Barcelona. Bridgeview is a village in Cook County, United States. It is located approximately 13 miles southwest of the Chicago Loop, as of the 2010 census, the village population was 16,446. Bridgeview is home to the Chicago Fire of Major League Soccer, according to the 2010 census, Bridgeview has a total area of 4.15 square miles, all land. The village has a rectangular shape, its borders running north and south stagger between 8200 West and 6800 West, but can generally be defined as between Roberts Road and Harlem Avenue. The southern border of the town is 103rd Street between 76th Avenue and Harlem, the northern border is staggered between 6700 South on the west side of the rail tracks and 6900 South on the east side of the rail tracks. Bridgeview borders the communities, Bedford Park, Nottingham Park, Oak Lawn, Chicago Ridge, Palos Hills, Hickory Hills. Bridgeview is 16 miles southwest of the Chicago Loop, as of the census of 2000, there were 15,335 people,5,631 households, and 3,812 families residing in the village. 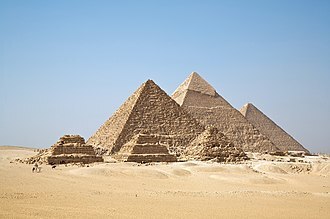 The population density was 3,716.5 people per square mile, there were 5,825 housing units at an average density of 1,411.7 per square mile. The racial makeup of the village was 87. 42% White,0. 82% African American,0. 30% Native American,2. 22% Asian,3. 97% from other races, and 5. 26% from two or more races. Hispanic or Latino of any race were 9. 42% of the population, the top five non-Hispanic ancestries reported in Bridgeview as of the 2000 census were Polish, German and Arab. 27. 4% of all households were made up of individuals and 12. 3% had someone living alone who was 65 years of age or older, the average household size was 2.65 and the average family size was 3.30. In the village, the population was out with 24. 9% under the age of 18,9. 0% from 18 to 24,29. 6% from 25 to 44,22. 1% from 45 to 64. The median age was 37 years, for every 100 females there were 97.6 males. For every 100 females age 18 and over, there were 93.4 males, the median income for a household in the village was $42,073, and the median income for a family was $52,490. Bastian Schweinsteiger is a German professional footballer who plays as a midfielder for Major League Soccer club Chicago Fire. A right-footed player, he plays as central midfielder. Earlier in his career, he played as a wide midfielder. He spent 13 seasons at Bayern Munich, playing in exactly 500 matches across all competitions and his honours at the club include eight Bundesliga titles, seven DFB-Pokal titles, a UEFA Champions League title, a FIFA Club World Cup title and a UEFA Super Cup title. He joined Manchester United in 2015, playing sparingly for 18 months before moving to Chicago Fire, Schweinsteiger played for the German national team from 2004–2016. He is Germanys fourth most-capped player of all time, having earned 121 caps and scored 24 goals and he was selected in their squads for four European Championships and three World Cups, including their victory at the 2014 FIFA World Cup. Following Philipp Lahms international retirement on 2 September 2014, Schweinsteiger was named captain of the national team and he played his last match for Germany on 31 August 2016, after which he retired from international football. Schweinsteiger signed with Bayern Munich as a team player on 1 July 1998. A talented youth ski racer, he had to decide between pursuing a career in skiing or one in football. Having won the German youth championship in July 2002, Schweinsteiger quickly earned a place in the reserves and he initially earned a reputation for being a rebel off the pitch, making headlines for the wrong reasons but has since settled down. During his first appearances in the eleven, he played left-back. He signed a contract the following month and went on to appear in 14 Bundesliga games in 2002–03, helping Bayern to a league. The next season he played 26 Bundesliga games and he scored his first Bayern goal against VfL Wolfsburg in September 2003. Over the next three seasons, up until the end of 2007–08, Schweinsteiger made 135 appearances in all competitions for Bayern Munich, on 15 August 2008, Schweinsteiger scored the first Bundesliga goal of the 2008–09 season. In December 2010, he extended his contract with Bayern until 2016, the match, played at Bayerns Allianz Arena, ended 1–1 and went to a penalty shoot-out. Tomasz Frankowski is a retired Polish footballer. He scored 168 goals in 302 matches in Polish Ekstraklasa and has been the top league goalscorer four times, Frankowski achieved his greatest success at Wisła Kraków of Poland, where he helped fire them to a collection of domestic honours. He is well-travelled, having played for clubs in France, Spain, the striker has been capped 22 times for the Polish national team, scoring 10 goals, including one against England in the World Cup qualifying game at Old Trafford in October 2005. Frankowski returned to France to play for CFP Poitiers and FC Martigues and his time at Wisla brought him his greatest successes, he helped the club win five Polish Championship titles, two Polish Cups, and a Polish SuperCup in 2001. He was the top scorer three times, with Wisla in 1999,2001, and 2005 and with Jagiellonia in 2011. He eventually left Wisla in September 2005 and had a short but successful spell in Spain with Elche CF of the Segunda División, scoring 8 times in just 13 appearances. This form caught the attention of Glenn Hoddle, manager of English Championship club Wolverhampton Wanderers and his spell at Wolves did not go so well, with Frankowski failing to score a single goal. This earned him the nickname of the Pole without a goal. Previously, he had scored 9 goals in 11 games in the rounds for the 2006 World Cup in Germany. 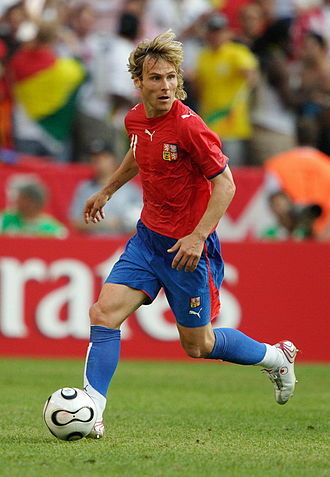 In August 2006, he was loaned to another Spanish Segunda División side, CD Tenerife, for the 2006–07 season, however, at the end of his season at CD Tenerife, Frankowski returned to Wolves after the Spanish club decided not to purchase the player. However, he suffered an injury in pre-season training and was unable to attempt any action. By mutual consent, the club terminated his contract on 31 August 2007, after a period of inactivity, he headed to join up with the Chicago Fire, finally signing a deal on 19 February 2008. He scored his first – and only – two goals for the club on 3 April 2008 during their home opener against the New England Revolution. Landon Donovan of San Jose defending against Chicago's Carlos Bocanegra in the 2003 MLS Cup. Held at Seattle's CenturyLink Field (then Qwest Field), Real Salt Lake defeated L.A. Galaxy in MLS Cup 2009 to win their first championship. 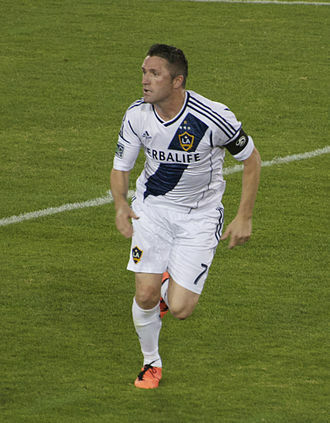 LA Galaxy captain, Robbie Keane was the 2014 MLS Cup MVP. Blanco playing for Dorados in 2012. Chicago Sting Mascot 'Stanley Sting' pictured in 2009. Chicago Sting 1984–86 Home Indoor Soccer Jersey. Tomasz Frankowski during a match between Poland and Wales. Ralph as a trialist with New York Red Bulls.